Half Day Tuscan Hills tour departs on Tuesdays and Thursdays at 10 am from March to November. Pick-up time will be prior to departure time. This tour operates from March to November. The weather is usually best from May to September. 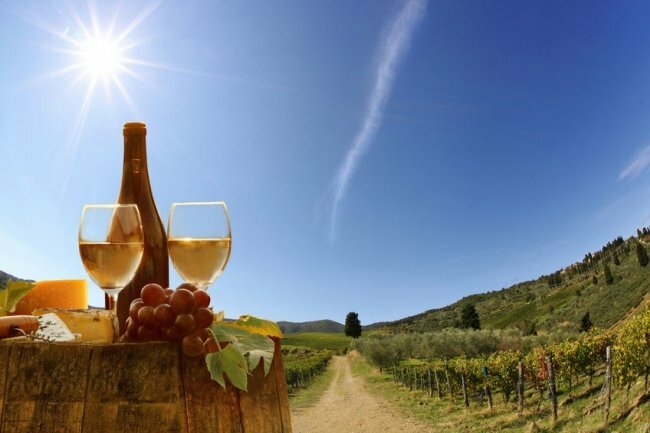 We are comparing Tuscan Hills Wine Tasting Tour From Pisa or Lucca Prices from leading ticket suppliers and Try to find you Cheap tickets prices on the market. Spend 4 fun-filled hours exploring the gorgeous hills of Tuscany. During this excursion you will pass through extensive vineyards, rural towns and lush scenery. Learn about the famous Chianti region with your multi-lingual tour guide. The highlight of this sightseeing tour is a visit to one of Tuscany's locally owned wine estates. Disembark from your air-conditioned coach and meet with a winery guide, or perhaps the estate owner themselves. You'll be guided through a sea of green to observe how the red and white grapes are grown and cared for. Later you'll return to the cantina, hear how the wine is pressed, stored and fermented into some of Europe's finest reds and whites. This is a sociable style tour, so, what better way to round of your Tuscan experience than joining your fellow travellers to taste some of the winery's best produce. Sip a glass of Chianti red or perhaps a white wine while tasting home made virgin olive oil and delicious local produce. At the end of the tour you'll return to Pisa or Lucca by coach. This is a laid-back, leisurely tour, perfect for people looking for a stress-free and sociable way to escape the city and discover the Tuscan countryside without the hassle of booking private transport. This tour is great for couples or small groups as well as individuals who can share a glass of red or white with other travellers. Your Experience With Tuscan Hills Wine Tasting Tour From Pisa or Lucca? Escape to the lush Tuscan country side for a half-day trip which combines sightseeing with local wines and food tastings. Travel by air-conditioned coach from either Pisa or Lucca through scenic hills and vineyards to an authentic Tuscan wine estate. Meet a local English speaking guide who will take you through the vineyard. Hear how the grapes are organically grown, picked and fermented into wine. Best of all, take a seat inside the estate to taste a selection of red and white wines, locally produced snacks and virgin olive oil. What Tuscan Hills Wine Tasting Tour From Pisa or Lucca Includes? Hotel Pick-up/Drop-off (city area only). Round trip transport by luxury coach/minivan. Wine tastings and samples of local produce. Pick-up from Pisa or Lucca – travel to a Tuscan wine estate – vineyard tour – wine and food tastings – return trip to Pisa or Lucca. To avoid any confusion or extra charges you should contact your tour supplier in advance to make sure that your hotel is in the ‘city area' for pick-up/drop-off. Travelers Reviews about Tuscan Hills Wine Tasting Tour From Pisa or Lucca? Travellers have described this tour as fun, easy-going and interesting and have commented on the quality of their tour guides. This half-day tour has a 5-star rating from TripAdvisor users and 4.7/5 from 20 customers who booked through Get Your Guide. A minor criticism is that the tour only visits one winery, however, this is a half day tour and adding extra stops would mean compromising on the time spent at each location. Tickets are refundable up to 24 hours in advance (Get Your Guide), or up to 7 days in advance (Viator) with cancellation fees for tickets cancelled 3-6 days in advance. Either printed of mobile tickets will be accepted by your tour guide. There may be an additional charge for pick-up/drop-off services if your hotel is located outside of the city. A minimum group size of 4 people applies for tours booked with Viator. In the event that there are not enough participants the tour will be cancelled and a full refund will be issued. Any children (under the age of 18) should be accompanied by an adult. Collection from your hotel within the city limits, you should arrange pick-up with your tour provider. Or, meet at Pisa Central Train Station. You should be ready at least 15 minutes in advance.